Copyright �2011 PopEntertainment.com. All rights reserved. Posted: February 18, 2011. 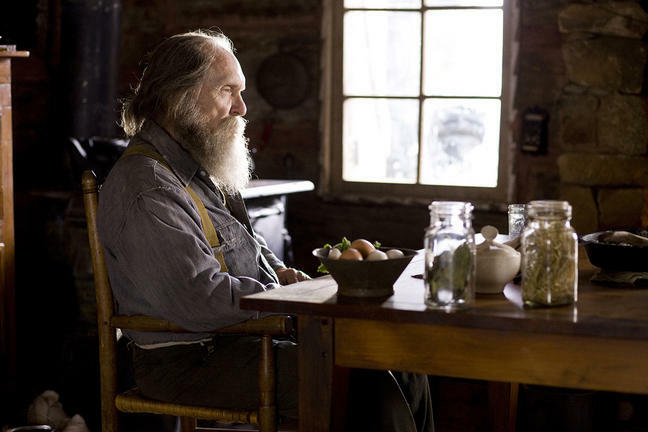 When Get Low hit the festival circuit earlier this year, veteran actor Robert Duvall came to town and did a few interview sessions to discuss this film, his career, and playing roles like the irascible Felix Bush. 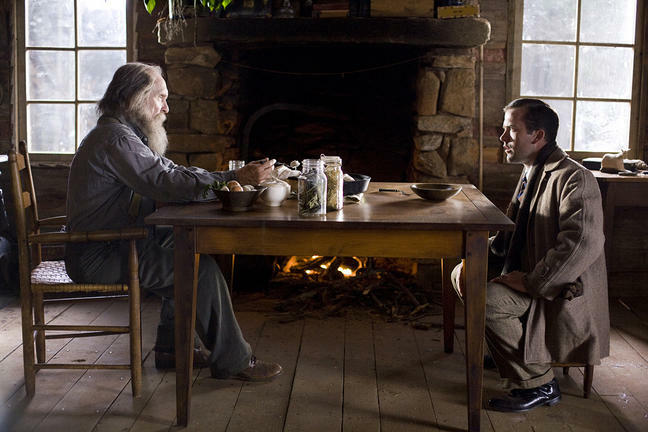 The grungy, ill-kempt Bush is this mysterious hermit who throws his own rollicking funeral party � while still alive � in 1930s Tennessee. He confront the folks who run the funeral home � played by Bill Murray and Lucas Black � and his long-ago ex-love, played by Sissy Spacek, with his odd event with both touching and tragic results. 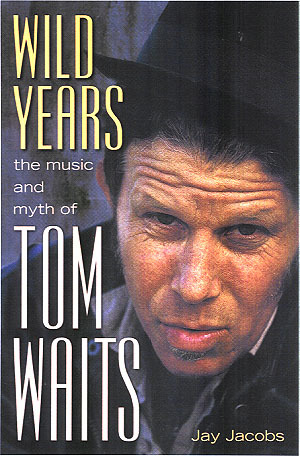 A remarkable actor, going back to his days on television in such series as The Outer Limits (his two- part episode, �The Inheritors,� is considered a classic) or films such as M*A*S*H or the original True Grit, the 80-year-old is now considered one of the Olympians in that starry universe of Hollywood. Yet he has often stood apart from that celebrity-centric world. He has an estate in Virginia, is married an Argentinian, Luciana Pedraza (who is 41 years younger than him), and has his own film and television production company. His politics leans towards libertarian/conservative and he loves the western � all things that haven�t set well with the Hollywood insiders and tastemakers. 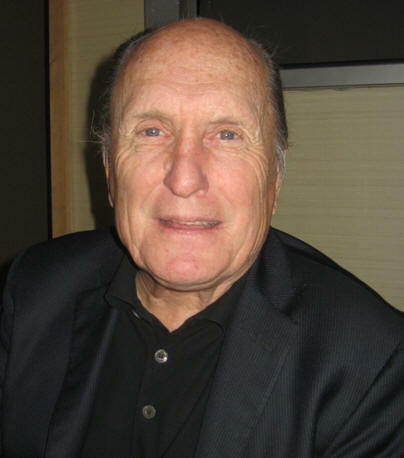 In the last two films he performed in, Get Low and Crazy Heart, Duvall co-produced them, and much to his surprise, won back-to-back hurrahs, awards and many nominations. With a crinkle to his eyes, a big smile and that good ol� boy geniality, The Texas native makes for a perfect interview subject. Whether he�s doing a long string of one-on-ones, roundtables, or Q&As, he shows an infectious enthusiasm and openness that makes each one seem like he�s doing it for the first time. How do you prepare for a role like this? What�s the process with such a complex character? I didn�t do a lot, but just thought about it. Though this year I couldn�t because I had to work, we usually go to Argentina where my wife�s from. We go up to the North, to the Jujuy. We cook on Christmas Day. We�ll cook meat and then her old man will jump off with one of the sisters zipped up and hang glide with the condors, the biggest bird in the world. While we�re there, there�s this is hotel where we stay, there�s a window and a place where you sit, the patio, and I would sit there. I�d say it�s a perfect [environment] if you were going to write something, and I would look at those mountains and work on this part. That sense of being with nature and looking at, not the hills of Tennessee or Virginia. But, it�s just a matter of thinking about it. Thinking about it a lot and not doing research necessarily other than my imagination. They say, play the parts closest to your imagination and I think there was a part of my imagination that this was close to. I didn�t want to go in it for any way on accident. I was just a little bit like my dad who�s from Virginia. My family is from Virginia. Did you carry such a powerful character with you upon leaving the set at the end of the day? Sometimes when I carry him with me I get pissed off. Or if things weren�t going right or I didn�t think it was just right, you carry that frustration with you, sometimes. But usually at the end of the day if it went well then you go off and have a meal. And there was a great Chinese restaurant down there in the middle of nowhere. It was terrific. The better things go, the more relaxed and relieved you are at the end of the day. If it doesn�t go so well then you feel, ahh, you know? You just go home, get your rest and come in the next day. During the shoot, were there other things that you, Sissy Spacek and Bill Murray spent doing on your downtime? We all went out to eat, to different restaurants, and had fun down there going out. We�d go to a party and showed Bill Murray a tango. He said he wanted to learn the tango. He likes to try everything, Murray. The guy�s a character. And Lucas Black � it�s great to work with the guy. [He�s] from Alabama, with that thick accent, you need subtitles for the guy, you know. [laughs] And Sissy is � [they�re all] wonderful, talented people to work with. That�s what that guy said. I�m not so sure. Even having played the character, I�m not so sure if that�s true or as much, percentages, or that�s what they perceive in him. They perceive him to be a tough old guy, but he�s not necessarily that. You know, he lives off these stories that he likes, you know, �You boys come out here and throw rocks at my windows for 25 years.� I think that they build up this myth about this guy being a mean old guy, but maybe he�s not that. He could have been a lawyer. He could have been a doctor. He could have been a schoolteacher. He could have been a world traveler, merchant marine. He�s not a dumb guy. He could have been a lot of things. But, he chose to live in the woods out of this deep sense of guilt or being ashamed of what he did or what he thinks he might have done. No, I think it was about five... Yeah. Well, I�d given up on it. The initial thing of a guy setting up and going to his own funeral was very unique. They�re not going to do a remake of this in twelve years like they did of True Grit. This is so unique and original, they�re not going to do a remake. But I�d forgotten about it. They came to my farm once and then they came again. The initial script was good, then they rewrote, and it wasn�t so good. Then they got a guy, Charlie Mitchell from Alabama, who put in the final touches. This guy�s a terrific storyteller. If he hadn�t come on, I wouldn�t have done it. But even when that happened, they didn�t have the money, so I�d be sitting sometimes � I don�t live in California, I go out there sometimes to work or whatever � in a Palm restaurant and the Zanucks would be there. I said, �If the Zanuck dynasty can�t raise $7 million, who can?� So I forgot about it. �Well, that�s a good project, but, you know, I�m on to other things.� Then a couple of years ago December, they said, �Now�s the time.� I said, �I�m not ready. I can�t.� �Oh, we�ve got to.� I thought to myself, �I better do it now. This is a wonderful...� But, you know, I wasn�t waiting. I�d kind of given up on it, and thought of other things because they didn�t have the money. But when they did, then we went. People have said that. They spent a lot of money on Crazy Heart and it�s different. This is my wife�s favorite film I�ve done in maybe fifteen, sheesh, years. She loves this film and the script. But maybe, we�ll see. I don�t know. That made a lot of money for an independent film. I don�t know who made that much money. It made, what... it grossed almost $39 million. Your performance here is dead on, just every minute of it works. Well, I don�t always get leads in movies, and I�d rather play sometimes cameos or supporting, but when something like this comes along I feel maybe I can do this in a unique way. What did she love about it? She just loved the writing and there�s so much, and the performances. 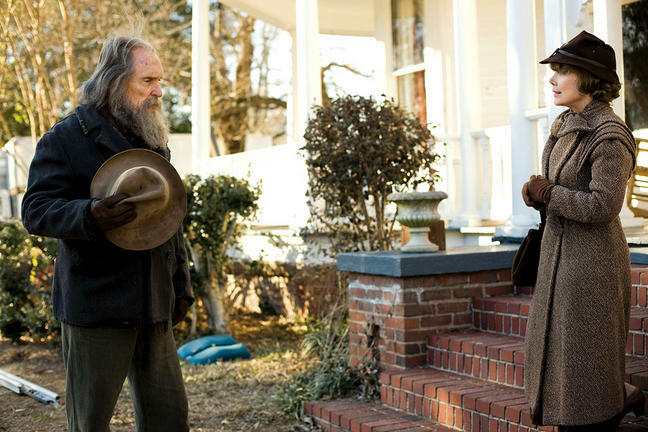 But she loves what this guy, Charlie Mitchell, brought [to it]. A unique script, just a certain aspect of humanity that�s in the script in a different, very unique story. We sold it all over. It won some award in Italy at a film festival, then it went to here, and it went there. They�re taking it everywhere. [laughs] They�re trying to build it up in a prestigious way, but also hopefully that it�ll be a commercial success. Have you ever gotten a great script and as you were filming, things went haywire and it didn�t end up the way you expected as with this film? Did it end up the way I envisioned it? Yeah, I think so. But with this writer, there was a time when they rewrote it, it didn�t work, I said, �I�m not doing this.� Then when they brought Charlie Mitchell on he added those touches of a southern storyteller that was terrific. Little things, like the woman in white at the end coming in an apparition, like a Southern Gothic story. And when that hearse went away, they didn�t know that it was going to be and they passed her coming on film and they all got like goose pimples. They didn�t know what it was about. And the things with Sissy, when I explained how I loved her sister, not her, then I have a thing where I fall over from an illness, he added that. He added those things with Sissy in the beginning. He really took the basic story and made it more direct and made it work. That�s what really bonded me to the project � his writing. That�s why my wife loved it, the writing and the way it was executed. Was that scene where you beat up the guy who was harassing you in there originally? Is there a theme or a line running through the roles that people think of you the most? I�m thinking of Tender Mercies and these country men. I played a city guy in The Godfather. I played Stalin once. 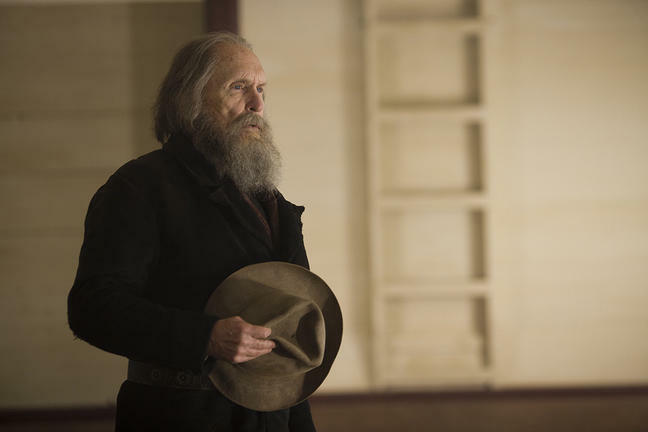 [laughs] But, yeah, yeah � my favorite part was in Lonesome Dove, when I played [a character from] Texas. I love westerns because that�s our thing. I said the English can have Shakespeare, the French Moli�re, [Anton] Chekhov [for] the Russians and the Argentines have [Jorge Luis] Borges, but the western is ours from Canada on down. I say let the English play Hamlet and King [Lear]; I play Augustus McCrae [laughs], because you have eight hours to develop the character. But, you know, I like city guys, country guys, whatever. I�ve played German guys. I�ve played Eichmann � Adolf Eichmann. That�s where I met my wife in Argentina. Eichmann went to Israel and they killed him and this Eichmann got a beautiful woman from Argentina, my wife [laughs]. Do you still dance the tango with her? Since the recession hit do you find yourself taking roles and doing business differently? Doing business differently? Well, the business aspect of it might be different because you always try to raise money and with my company we�re always trying to do movies under $10 million. Another one of my favorite things was Broken Trail, a two-part miniseries for AMC. We did that and Eichmann, we did the tango movie, we did The Apostle, we did, what do you call it? We did Crazy Heart. We�ve had a good run, my company, in doing producing. But as far as taking the parts, it�s the same thing. You read it and say, �Oh, I like this part.� You go with your first instincts. �I think I can do this part. I like it.� Then you say, �Who�s going to be the director? How much?� [laughs] Usually the independent movies not much, so you still do them because you love them. How much does �how much� matter? It depends. If you�re going to do a big film, how much does matter. You know, it does matter in this country. We had to cut Jeff Bridges� salary. He does a hefty thing. We make more in this country than other countries and also I suppose it�s more expensive in a way to live in this country, so how much matters some. You�re batting pretty well though. Oh, very good. My little company�s as good as any of the other companies as far as � we�ve done well, especially doing something under $10 million. Somebody said that there�s a list every year of the ten best movies that never get made, so that happens, so we�ve done well. It�s tough to get these things going. We got things we�re trying to get going right now that hopefully, you know. Well, listen, the Academy Awards can be very political. [laughs] People think of that, you know. When I did The Great Santini, I was sitting in my chair just meeting the producers and they said, �Well, they�re talking about Academy Awards...� [And that was] before we even rehearsed it or anything! [laughs] Especially in Hollywood, there�s a strange preoccupation about [awards] in this country. If those things happen it�s a secondary thing; you just try to do a good job. I like this role a lot. Maybe it�s one of my [best]. I don�t know. I can�t [think about that]. There�s a friend of mine coming tonight, I�ll see what he thinks. He�s known me for years. He loved the script when he read it, so I�ll see what he thinks. What keeps an actor fresh through the years? It depends on whatever you read is you�re going to jump in and do. No matter how long you�ve been doing it, you still have a certain hunger to do it. You�re still a bit hungry. I�m getting offered more parts now than ever. It�s as good as ever. I was considered as a late bloomer, but I�m blooming into eternity [laughs]. What�s the name of your company? Butchers Runs Films. Down in Virginia the small creeks are called runs. I don�t know what that comes from, Bull Run, the Battle of Bull Run. My father grew up on South Run in northern Virginia. They were southerners during the Civil War, tobacco farmers, pro union behind confederate lines, pro union! They named my grandfather Abraham Lincoln Duvall. He was behind enemy lines, but they were Southerners. And they didn�t get hung for it? No, they didn�t. They had some dicey times when it came to it with the bayonets and the stuff they had to hold, the babies and stuff. What part of Virginia was this? In Virginia near Fairfax County. We live now in Fauquier County, my wife and I. My wife loves Virginia. How did you know that your wife was the one? In the movie, your character talks about when he knew the woman he loved was the one. When did you realize that about love�? You mean in this movie? I guess after the fourth marriage something better work. [laughs] She�s very smart. She did an interesting documentary on Billy Joe Shaver; I put her in the tango movie though she�s never acted, but she had a certain kind of middle class street mentality of Buenos Aires. She went down to take care of her mother, and strapped $15,000 in her purse to go through customs. I put her in the movie � she said, �If you think that young actress is going to play the part, I�ll take it.� Now I know she didn�t have to go to Lee Strasberg, because she said to her sister, this cop stopped them through a yellow light like, �Whatever I say, you say, �Si. Si.�� The guy said, �You were going through a red light.� �No, a yellow light.� �Si, si, going through a yellow light.� She saw the crucifix, she played on it, �If you�re going to give me the ticket, come here. I have my papers here. I�m on my way to the hospital. I�m dying of cancer.� Tears. The guy never gave it. So I said, �If you did this, you don�t need to go to Lee Strasberg.� [Laughs] I put her in the movie; she was terrific. She stole the movie! You met her when you did that movie? No, I met her before that. I introduced her to the tango. The other night I was with the guy that danced over the closing credits. He�s a great tango dancer. He was in town on his way to France, so we had dinner and everything. He�s one of the good guys. On the subject of great movies that never got made; will The Man Who Killed Don Quixote ever happen? I hope so. What a script. It�s like Shakespeare. I read it and still don�t understand all of it. You know, Terry Gilliam has his own thing. I want to do this film, I just hope there aren�t too many dwarves running around, you know? But, it�s terrific. It�s different from the version that failed eight years ago that he had to scrap because the guy got hurt � the French actor [Jean Rochefort]. This is totally different. 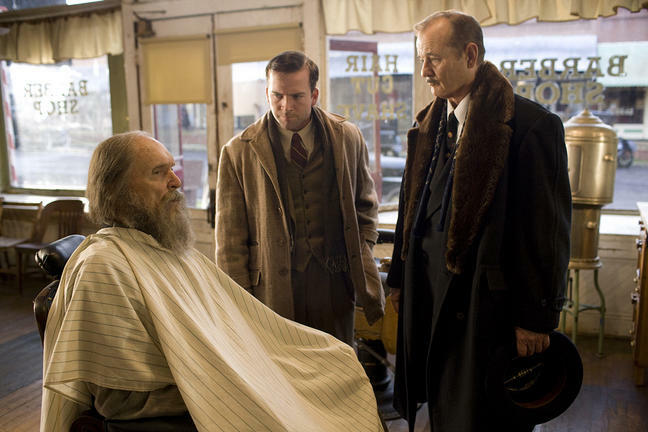 I did a thing with Richard Harris where I played a Cuban barber in Wrestling Ernest Hemingway and he saw it and liked it. If he hadn�t seen that he wouldn�t have offered me the part because I worked very hard putting on the accent and everything. Now that he�s got you, what�s the roadblock? It�s a little more than like this. It will be three times the budget, something like $25 [million or] something. $20, $25, yeah. #2 � 2010. Courtesy of Sony Pictures Classics. All rights reserved. #3 � 2010. Courtesy of Sony Pictures Classics. All rights reserved. #4 � 2010. Courtesy of Sony Pictures Classics. All rights reserved. #5 � 2010. Courtesy of Sony Pictures Classics. All rights reserved. #6 � 2010. Courtesy of Sony Pictures Classics. All rights reserved. #7 � 2010. Courtesy of Sony Pictures Classics. All rights reserved.